Salem's Historic Grand Theatre has not booked a Sonicbids band yet. 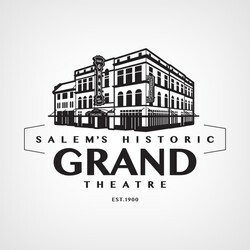 A complex of historical buildings listed on the National Register of Historic Places (NRHP), Salem's Historic Grand Theatre is a multi-purpose entertainment landmark located in the heart of Salem, Oregon. Salem’s Historic Grand Theatre envisions an entertainment district that celebrates cultural and economic development through community engagement, corporate partnerships and exposure to one-of-a-kind events and experiences featuring local, regional, national and global talent.